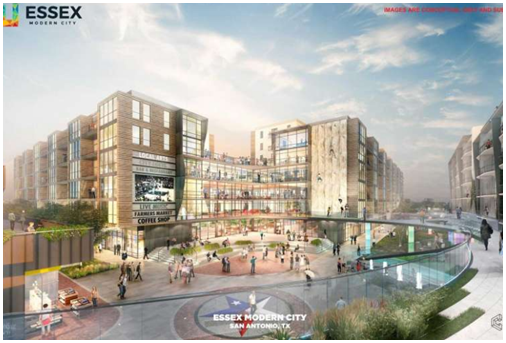 ​​​​​​SAN ANTONIO – Local developer Efraim Varga and investment firm Harris Bay plan to start work by the end of 2017 on Essex Modern City—a $150 million mixed-use development at the crossing of Essex and Cherry streets. 80 townhomes and a food hall. The project's first phase will take about three years to build and will cover about five acres. It will be all new construction except for a small 1930s building that will be rehabilitated. The scope of the second phase will depend on the market, but the developers hope to build a condo tower between eight and 11 stories tall. ​Want mor​e data? See San Antonio Retail, Office, and Multifamily Market Research!